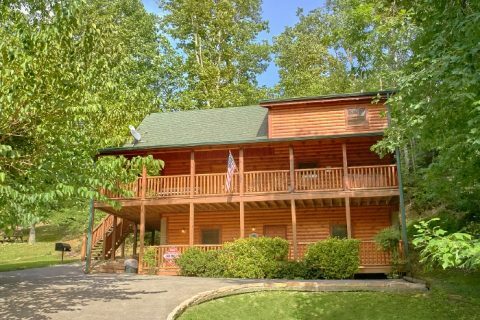 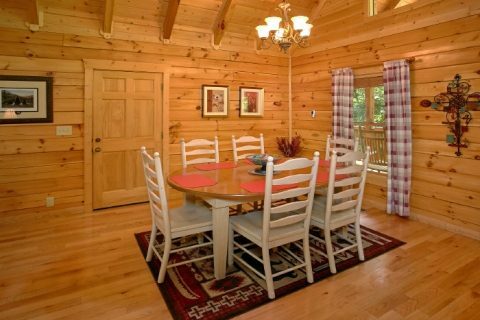 Come stay at this 3 Bedroom Cabin near Dollywood, which offers guests plenty of excellent cabin features and a prime location near Tennessee's famous theme park! 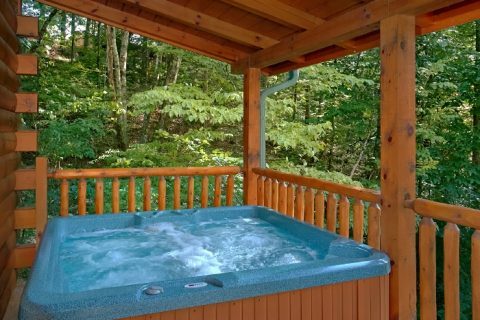 With a hot tub, game room, fireplace, and more, you'll have everything you need for a peaceful cabin stay with your family. 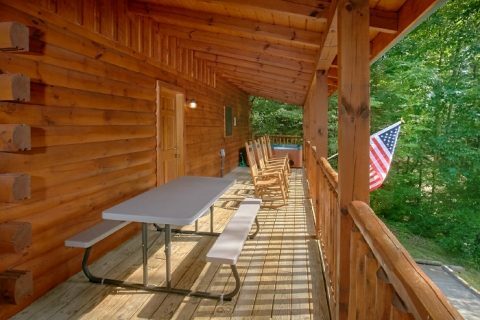 With a location convenient to all the excitement of the Pigeon Forge/Gatlinburg area and a cabin interior with great features, you'll have a vacation that won't soon be forgotten. 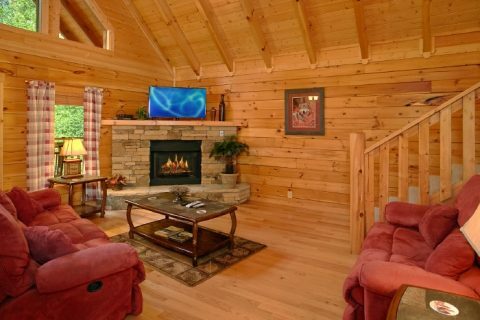 From the Dollywood to dinner shows, shopping to the Space Needle, there's no shortage of things to do around your Pigeon Forge cabin that sleeps 6. 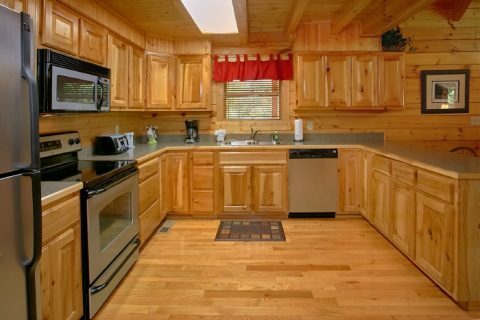 But there's plenty to love back at your cabin! 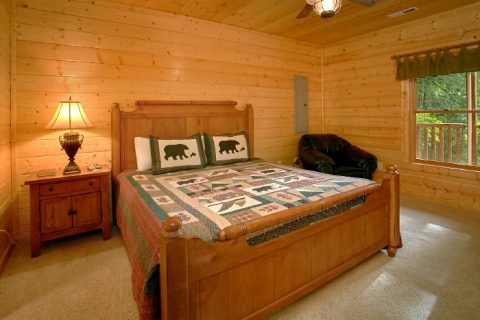 3 king beds allow the whole family to get a great night's rest for another day of adventure in the Smokies. 4 bathrooms give your family plenty of space to get ready for exciting adventures that wait for you in Pigeon Forge and Gatlinburg. 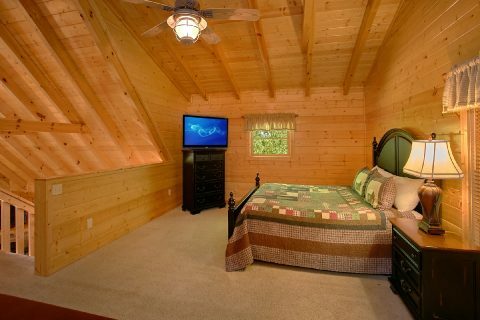 There's plenty to keep you entertained in your Pigeon Forge cabin with game room as well. 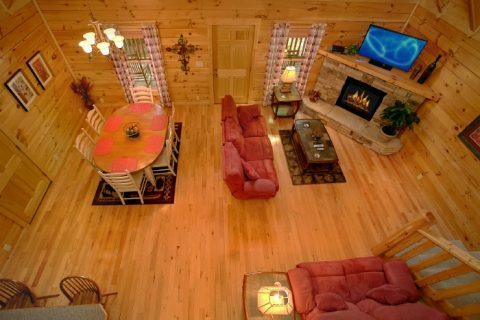 Your inviting living room with cozy corner fireplace provides the perfect place to gather and enjoy the company of family and friends. 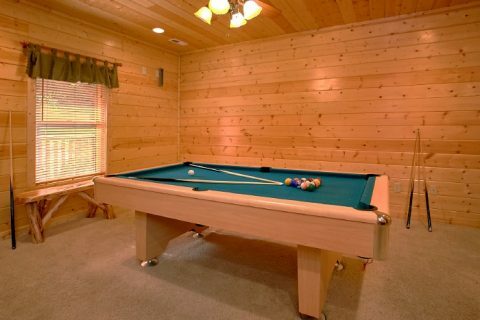 Battle it out during a family tournament at the pool table in the game room. 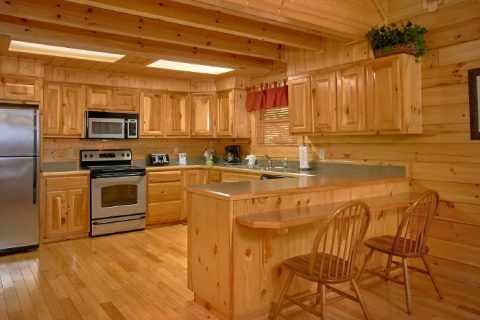 Your cabin's kitchen with breakfast bar invites you to cook great meals to enjoy together around the dining table. 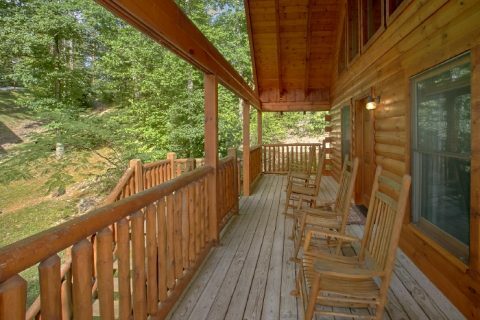 Outside, you can take in wooded mountain views from the deck while peacefully relaxing in the hot tub or sitting back in a rocking chair. 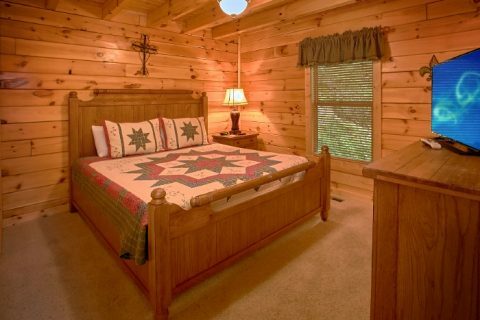 "Lucky Logs Lodge" also rests next door to "Dew Drop Inn" for families who need extra space for even more loved ones! 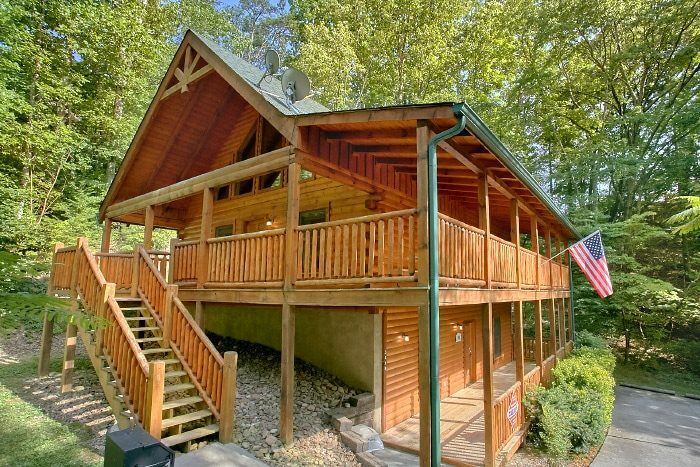 Book this 3 bedroom cabin near Dollywood with Cabins USA and start planning your memorable family vacation in the mountains today!